This article presents a list of open source test management tools. If you want to add a tool that fits these requirements to this article, just let us now using our contact form. Kiwi TCMS is a test plan, test run and test case management system, written in Python and Django. It is a fork of the Nitrate tool. 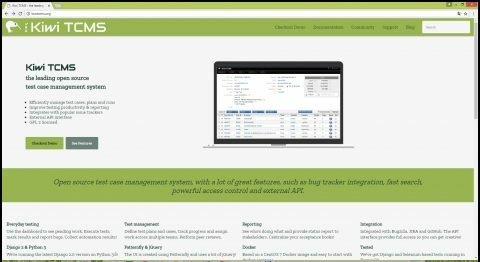 It features Bugzilla and JIRA integration, fast test plan and runs search, powerful access control for each plan, run and case, and XML-RPC APIs. TestLink is a web based test management and test execution system that is actively maintained. It enables quality assurance teams to create and manage their test cases as well as to organize them into test plans. These test plans allow team members to execute test cases and track test results dynamically. TestLink helps you to keep the test process under control. It forms a repository for requirements and test cases, and relates these to builds, platforms and staff. You allocate tests to staff who carry them out and record the results. A wide variety of reports provide information on what has been done and what still needs to be done. TestCaseDB is an open source QA management application. TestCaseDB is designed to work with and enhance the tools you already use to improve QA team utilization and efficiency. You can create, edit, update and track test cases and test plans with our easy to use web interface. 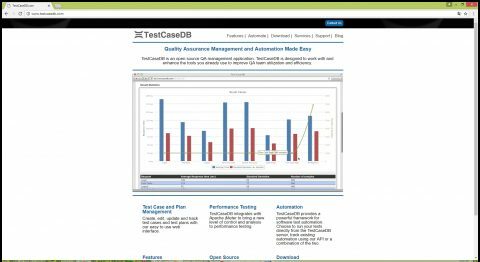 TestCaseDB integrates with Apache jMeter to bring a new level of control and analysis to performance testing. TestCaseDB provides a powerful framework for software test automation. Choose to run your tests directly from the TestCaseDB server, track existing automation using our API or a combination of the two. This tool was released as open source in 2013. 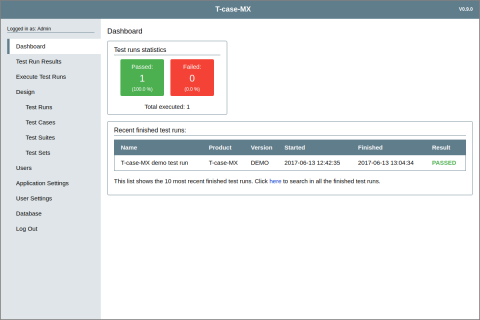 T-case-MX is an open source test case management and execution tool that is completely web based and runs on any server with PHP and MySQL. Tuleap Test Management, allows to manage automated and manual tests at the same place. 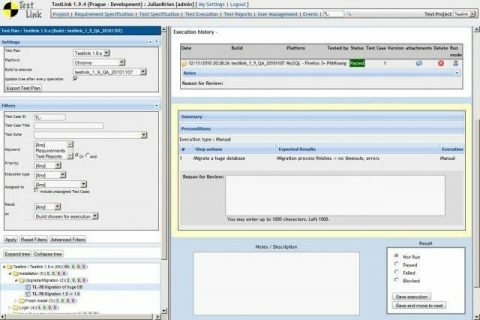 Test Management is integrated in the whole product and software development lifecycle provided by Tuleap. You can coordinate the entire testing process from stories to final releases and replicate test suites for regular releases. Tarantula is open source tool running on Linux for managing software testing in agile software projects that provides Jira, Bugzilla and Doors integration. Last update was in 2014. The main issue with these open source software testing tools is that you never know how long they will be developped to support technology evolution!